Most experts would agree that golf is 20% physical and 80% mental. Although golf lessons are necessary to learn the proper techniques for all facets of the game, on course instruction is needed to learn the art of golf course management. Golf Course Management is more than knowing the rules and etiquette. It is learning to control your emotions, body and mind. It is understanding the mind of the architect and the hidden challenges designed in each tee box, fairway and green. 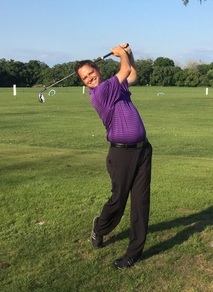 Our Professional Instructor, Ryan Thomas, will guide you through the learning process of transferring your range training to the live golf course experience. Learn to Golf YOUR Best with on course instruction.